Q1: What welding method is used for welding of 6mm 316L stainless steel plate? 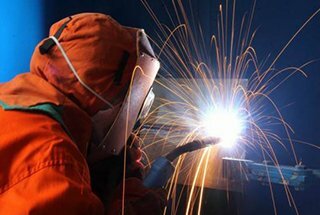 A: Manual argon arc welding (MTIG) or CO2 welding, manual electrode welding can be used. CO2 welding method: for better welding finishing, flux-cored welding stick (E316LT) can be used for welding. The reason for selecting the flux-cored welding stick is that the spatter is very small, the weld protection is good, but the price is more expensive. When operating, pay attention to the root cleaning of the interlayer. Remove the skin and then proceed to the next welding. Manual electrode welding: manual electrode welding can also be used for processing. 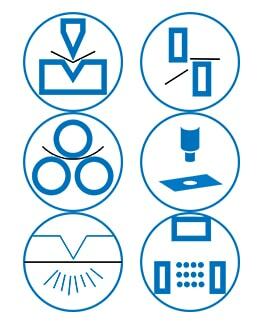 Select A207 electrode for welding. Electrode welding also needs to pay attention to the root cleaning of the interlayer. If the wire needs to be filled, the wire must be fine and 0.8mm will be fine. There is also the requirement for welding machine. Generally, choose the inverter type ac/dc welding machine, the current is relatively stable. This kind of welding machine is a little more expensive. It’s all a matter of technique. Practice more! Q3: What is the reason for blister for stainless steel plate with argon arc welding? When I weld two stainless steel plates with argon arc welding, the first burn is normal. Because there are some small holes, so I proceed with the second welding, but there are bubbles, I want to ask you what is the reason, thank you! For the first time welding, there are some small bubbles, so I do some patch welding, but the bubbles were bigger and could not be welded well. The stainless steel thickness is 0.6mm and the material is 201 stainless steel. Could you please give me a good answer to this? The welding seam is not clean. There have some oil, water, etc. Protective gas is not pure. The wire end is exposed to air. Polishing the bubbles with the angle grinder. 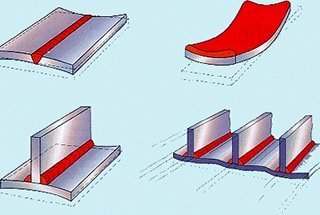 Clean the surface of the weld. 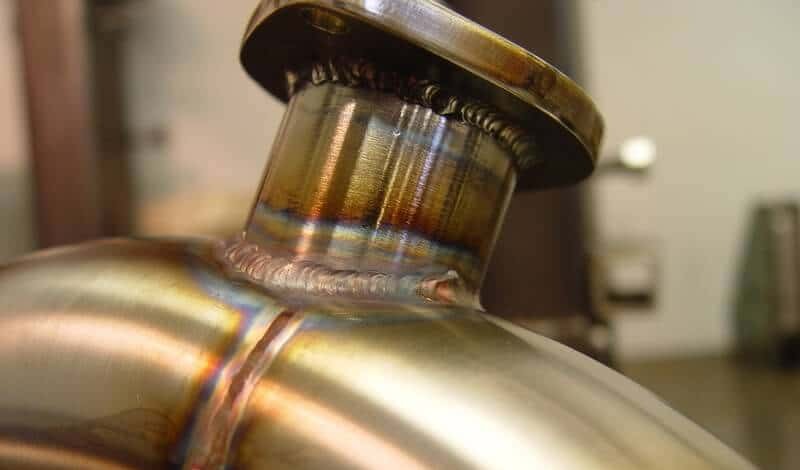 The welding wire end should always be in the inert gas protection. Q4: In addition to argon arc welding, what else can be used to weld stainless steel plate? A: Laser welding is best, but it’s too expensive. Q5: The problem of argon arc welding for 304#/201# 0.8mm stainless steel plate. Cases 1: For 304#/201# 0.8mm stainless steel argon arc welding, will the weld seam crack? Besides, Will the 201-grade stainless steel be rusted at a high temperature of 150 degrees and 95% humidity? A: In principle, it will not crack, but will rust. 201-grade stainless steel is very easy to rust. Follow-up: Is the welding seam rust or is it rust in this high temperature and high humidity environment? A: 201# stainless steel plate is easy to rust at the welding seam and places with scratches. The 201# stainless steel itself is not as resistant to oxidation and corrosion as the 304 stainless steel. Its service life itself is short, but there won’t be any problems in a short period of time. Two or three years should be fine. Q6: Can 500A argon arc welding machine weld 1.2mm stainless steel plate? 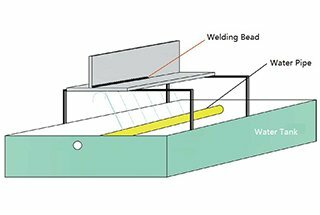 How to weld the 1.2mm stainless steel plate? A: Soldering is also acceptable, but not very strong. Apply phosphate liquid on stainless steel first, then solder with the soldering iron. Mainly depends on the workload, long time welding needs the water cold welder, just a few welding points does not matter. Provided current refers to 80- 100A, argon gas. Q7: What is the diameter of electrodes for 4mm stainless steel plate with argon arc welding? 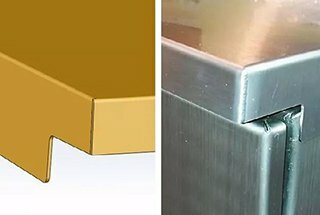 A: For joint welding and v-groove welding, you should use 2.0mm electrodes to weld the bottom and use 3.2mm electrodes to weld the surface. If there is no requirement for mechanical properties, welding one time with 4mm electrodes is ok.
Q8: For 2mm 304 stainless steel plate welding, argon arc welding and electrode welding, which one is better? A: Certainly argon arc welding is better. The advantages of argon arc welding in deformation control and burn-through are obvious, especially the welding of high alloy material. Q9: Can argon arc welding weld 0.2mm stainless and 2mm stainless steel together? A: Can be welded, but this requires the welder to have high operational skills and suitable welding process. Q10: For 3mm stainless steel plate welding with vertical position, what should the current be with 2.5mm electrodes? During the peak time, adjust the electric current to 105A, adjust to 100A in the off-peak hours. Continuous arc welding is highly technical. 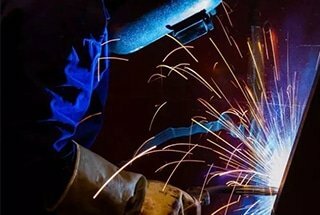 The current is an important condition, but the more important condition is the welding skills. Only those who don’t have good skills use spot welding. The one who is able to apply continuous arc welding on less 2mm steel plate can be called a welder. Q11： What type of electrodes is used for welding of 304 stainless steel plate? A: A132 or137 model; ER-308L welding wire.